NTS residential communities have created some of the most prestigious neighborhoods in the cities they inhabit. The NTS name is synonymous with luxurious living, gracious boulevards, and compatible mixes of neighborhood blends. Much more than mere land development with streets and houses, an NTS community creates a signature presence. From the image-conscious entrance, lush landscaping, championship golf course, country club facilities, community recreational facilities, and closely monitored covenants, an NTS residential community creates a special market standard. "Maintenance-free" condominiums offering the upscale, resort-like lifestyle you are looking for in the relaxed atmosphere you deserve. 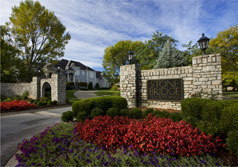 Come home to beautiful surroundings and carefree living nestled in the heart of Louisville’s finest community. 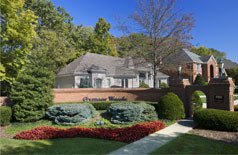 Lake Forest is one of Louisville's most prominent addresses. Located in the east end, the 1,200 acre luxury community features a private country club with an 18-hole championship golf course, numerous lakes and extensive recreational facilities. This community was designed for those who want to live life to its fullest - and will settle for nothing less than the finest. 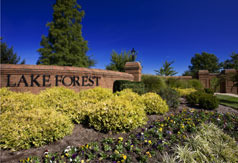 Lake Forest Highlands is strictly limited to 102 new homes and provides residents with a magnificent lake, amenities for active lifestyles, and easy access to old Henry and Gene Snyder. Recreational amenities include a community lodge, swimming, tennis, volleyball, soccer and jogging trails. For more information, please call Stan Humphrey at 502-664-9569. A stately brick entryway marks the entrance to the breathtaking beauty of Oxmoor Woods. Originally part of the historic William Marshall Bullitt Estate, Oxmoor Woods presents the grace, tradition and charm of estate living and is only moments away from great shopping, restaurants and schools. Nestled in a serene, heavily wooded setting, Oxmoor Woods has more than 200 custom-built estate-size homes and is located in Louisville’s thriving Hurstbourne corridor. 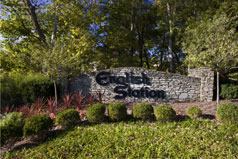 English Station is located off Shelbyville Road, one mile east of the Gene Snyder. Nestled between two of Louisville's finest 18-hole golf courses, English Station features large estate-size lots with 90 luxury homes built throughout the community. English Station remains one of Louisville's finest neighborhoods located minutes from major thoroughfares and interstates. 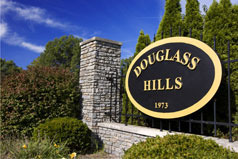 Douglass Hills and Douglass Hills Estates feature over 780 beautiful homes surrounded by trees and rolling hills. 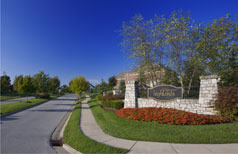 These two signature communities are located on Watterson Trail, less than a mile south of Shelbyville Road and just minutes from Blankenbaker Parkway. Douglass Hills and Douglass Hills Estates offer quiet, serene country-like settings while providing the nearby conveniences of city life. Located on Old Harrod's Creek Road in prestigious Anchorage, Stone Bridge exemplifies an elegant country- style setting with 50 homes nestled on 50 acres of wooded lots. The community's sweeping property affords estate-size luxury homes in private, quiet surroundings and provides a way of life for which Anchorage is known…yet is only minutes from major roadways with access to downtown Louisville. Owl Creek, with its rolling hills and heavily wooded lots continues to be one of Louisville's finest neighborhoods. 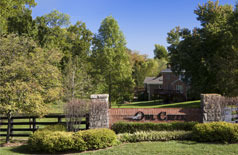 Owl Creek is located on Dorsey Lane at Ward Avenue, and has 580 custom-built homes on 240 acres of wooded hills. Residents enjoy private amenities that include a community clubhouse with a large pool and gymnasium. If you are looking for affordable luxury, look no further than Glenmary. This exclusive community rests on 541 acres in Southeastern Jefferson County, and boasts amenities such as a beautiful clubhouse, 18-hole golf course, tennis courts, a swimming pool and dining facilities. 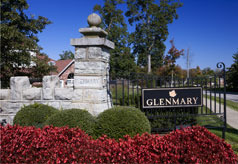 Glenmary is conveniently located off Bardstown Road, one mile south of the Gene Snyder Freeway. 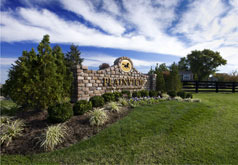 Plainview is a multi-faceted community with over 700 homes located in the heart of the thriving Hurstbourne corridor, just minutes from I-64 and Shelbyville Road. Beautiful homes, shops, stores, restaurants and businesses line the streets of this harmonious neighborhood. With its great location, convenience and amenities, Plainview continues to be one of the most desirable east end communities in Louisville. Sutherland is the ideal community for those who enjoy quiet, country living coupled with modern amenities. Located on U.S. Highway 42 at River Road in Prospect, Sutherland is within minutes of schools, shopping, marinas and riding clubs. Pristine lakes and a fieldstone bridge at the entrance provide just a hint of the serene beauty this community has to offer. Sutherland spans 230 acres with over 300 homes on quaint cul-de-sacs and tranquil streets in a wooded, park-like setting. Residents enjoy unequalled recreation facilities within the neighborhood with a community lodge, tennis courts, scenic lakes, swimming pools and winding creeks. The Springs is a planned multi-faceted community combining residential, commercial and retail in St. Matthews between Breckenridge and Dutchmans Lanes east of Big Springs Country Club. The gated community is home to over 70 custom-built residences and boasts a clubhouse, exercise and swimming pool facilities. The remainder of the community is a mix of Class A office space, retail shops, and restaurants which are adjacent to Louisville's major interstates and hospitals. 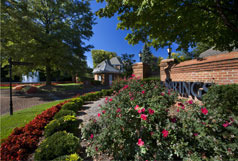 The Springs offers the best of both worlds - a luxurious haven within the heart of Louisville's prestigious east end. 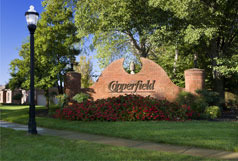 Copperfield is a 300-acre residential community located in Louisville’s east end corridor. 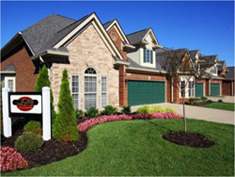 This community features over 375 gracious homes on quaint cul-de-sacs and meandering streets. Clubhouse facilities provide residents with recreational and leisure activities in a private and secluded community. Copperfield offers a country-style setting with lush landscaping and wooded lots, and is close to Louisville's finest shopping and entertainment. 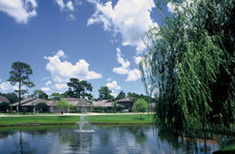 Orlando's Lake Forest residential community exemplifies the high standards of all NTS residential developments. The 538 acre community features a 55 acre lake and over 700 homesites. Honored with the Aurora Award for "Best Residential Community in the Southeastern United States", Lake Forest provides a gracious setting for some of Orlando's finest homes. Sabal Point is a master planned community located off Wekiva Springs Road in Longwood, Seminole County. The community rests in a wooded setting among lush landscaping. Sabal Point boasts many great amenities, such as an 18-hole golf course, tennis courts, nature walk, and miles of walking and jogging trails. Sabal Point is among Orlando's most prestigious residential communities and features custom homes, condominiums and apartment villas of superior quality and elegance. Scenically situated on the banks of a 300-acre lake in Fredericksburg, Virginia, Fawn Lake spreads over 2,800 acres with more than 1,400 residential homes. Honored as one of Virginia's most outstanding residential communities, Fawn Lake features an 18-hole championship golf course, estate homes, and recreational facilities. 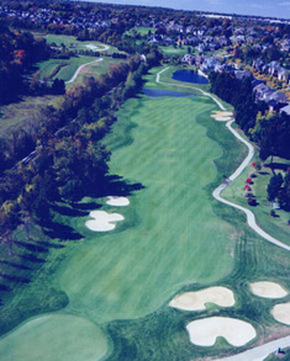 Lake Forest Country Club's 18-hole Arnold Palmer designed championship golf course hosts many statewide golf tournaments and has been consistently in the top 5 rated courses in the state of Kentucky. Our course offers five sets of tees, bent grass greens, tees and fairways and extensive practice facilities. Lake Forest Country Club also offers a clubhouse facility, Junior Olympic size swimming pool, tennis courts and a variety of membership offerings for all needs. 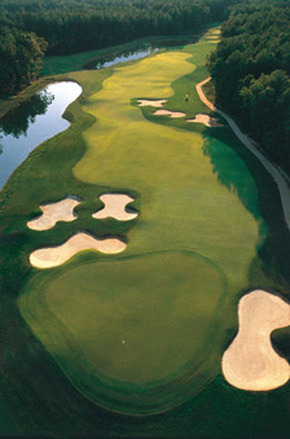 Fawn Lake Country Club's 18-hole Arnold Palmer designed championship golf course will challenge the best golfer while providing beautiful scenic views. 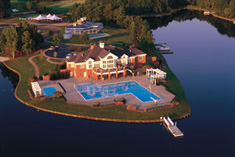 Along with championship golf, Fawn Lake Country Club offers amenities for everyone in the family. Our club offers recreation such as tennis, Olympic Swimming facilities, boating, beach areas, and a fully featured clubhouse.